We’ve definitely had more than a few people ask us why we would choose to work in the insurance space. However, although some people might think insurance products are simply a way for large corporations to make loads of money, the reality is that insurance, specifically life insurance, can play a really important role in people’s lives. It’s something, that as Founders, we’ve witnessed first hand. The truth is, the financial security of people and families around the world depends on having a personal insurance product in place. What’s striking, is just how many don’t do what it takes to protect their loved ones: 75% of millennial parents in North America don’t have life insurance. This means that if the unthinkable were to happen to one of the parents, the family’s life would be forever altered and might never recover from the financial burden. One of the most thoughtful and selfless things someone can do to prevent this from happening is to put a life insurance product in place. It’s a financial tool that ideally no one ever reaps the benefit of, but provides both peace of mind and financial security should it be needed. So why is it that such a big percentage of this generation, one that is currently transitioning through key life events such as having children, doesn’t have life insurance? The short answer is that the industry is one that has remained largely unchanged since its inception over 100 years ago. The existing sales cycle for reaching and selling to consumers is lengthy and burdensome. In more recent times, this has pushed advisors and carriers to focus on high-income customers because that’s where the rewards are bigger. Therefore, millennials, and what we refer to as the middle-market, have been largely underserved. This is why we’re so excited to announce that Breathe Life has raised a $4.5 Million seed round led by Diagram Ventures with participation from Real Ventures and several strategic angel investors, to modernize this antiquated industry for the good of people around the globe. More specifically, the Breathe Life vision is to bring financial security to millions by transforming the way personal insurance is bought and sold today. To accomplish our mission, we’ve built a distribution platform that delivers a modern, customer-centric experience to consumers and advisors. Our platform helps insurers find and attract new customers online, helps those customers learn about insurance products, helps call center agents provide a seamless omnichannel experience and helps advisors manage the application process — from lead to policy sold. We have partnered with carriers, distribution organizations, and advisors to transform how they work. With our help, they are moving from a lengthy, offline process to a completely digital one. We’re allowing them to tap into vast and underserved markets in an efficient and cost-effective way. Our platform and our process helps them find and acquire new customers, and nurture existing ones. So just how big is the underserved middle market? In the US alone the gap is estimated to be about $12 trillion of missing coverage and it keeps widening year after year. Globally, more and more people are entering the middle class, a segment of the population estimated to be more than 1.2 billion people by 2030. On top of the growing gap, the millennial market is drastically different than those that preceded it and they have caused massive shifts in consumer buying habits. They consume, research and shop in ways that are vastly different from generations past. Gone are the days of mailed out leaflets, door-to-door salesmen and lack of available information. We’ve entered the digital age, where you can find any information you want online, compare quotes and complete the purchase from your mobile phone while on the train to the office. This is a tech-savvy generation that doesn’t purchase the way their parents did. The gap in the market and the largely offline approach of this industry is leaving millions of individuals and families in risky financial positions. However, change is on the horizon. 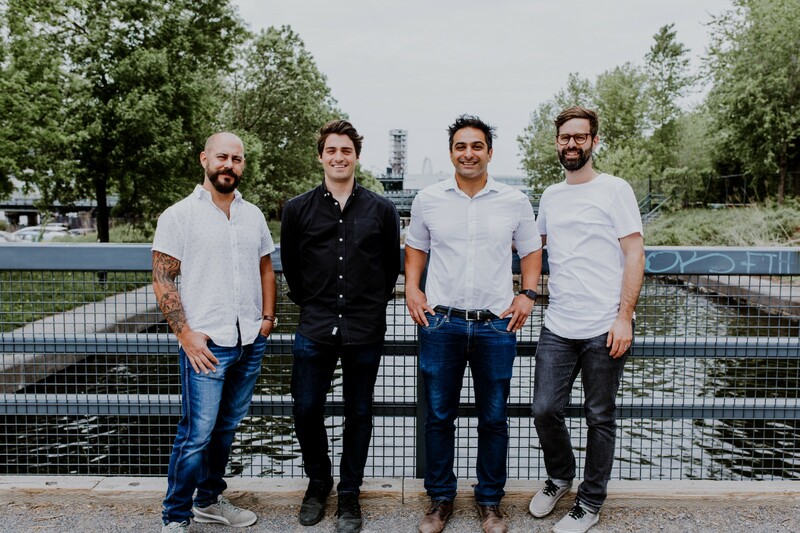 My Co-Founders Arach Tchoupani, Jean-Nicholas Hould, Sébastien Malherbe and myself, are seasoned entrepreneurs with extensive experience launching, operating, and scaling innovative technology companies in Canada, Silicon Valley, and New York City, looking to have a massive impact on the world. Together we have built a well-rounded and experienced team and fostered an environment focused on innovation and excellence. This funding will help us expand our team and accelerate the pace at which we build the product that is powering the next generation of personal insurance distribution. Above all, it will bring financial security to all people, whoever and wherever they are. For decades we have let things go unchanged. We have let the gap in the middle-market get bigger, we have been okay with millions of families lacking financial security, but not anymore. Breathe Life is powering the insurance industry of the future.